IT woman brutally attacked and robbed, 20 years old boy detained by police. On February 14, a female software engineer from Chennai IT park had been smashed with iron bar and robbed while returning back from the shift work. Lavanya Jannath is working for Newt Global in Navalur was returning to her sister's house on Tuesday Morning. 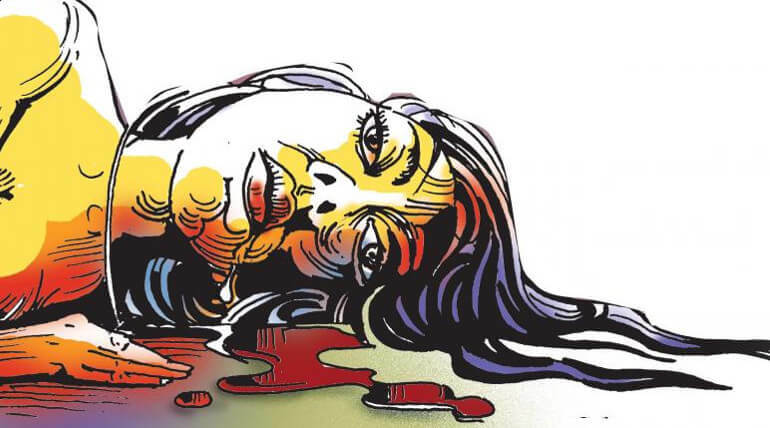 On her way between Thalambur to Perumbakkam, she was knocked off from her Scooter and smashing her with an iron rod. Her three sovereign gold chain, her mobile phone and her scooter have been robbed away when she become unconscious. Later she was admitted at Perumbakkam hospital by the police who reached the spot by the information of people who found Lavanya waylaid near roadside bushes with many facial fractures. Lavanya explained the crime scene to the police on her way to hospital in the police patrol vehicle. She said that a man allegedly kicked her scooter and knocked her down. She had a try for negotiation but the man attacked her with sharp object. She continued, later she had been dragged to an empty land and left waylaid after all her belongings were taken off by the man. After he left from the spot she dragged herself to the main road, where she was found by some passerby people. Police on Wednesday detained a 20 years old boy as a suspect. Lavanya's vehicle also has been recovered by police following the information of a staff of Tasmac outlet about an abandoned vehicle at Sammacherry area. Lavanya was still under critical stage reported a police officer. Lavanya and her sister have hailed from Vijayawada and working in Chennai. Police had informed Lavanya's parents through Vijayawada police department.